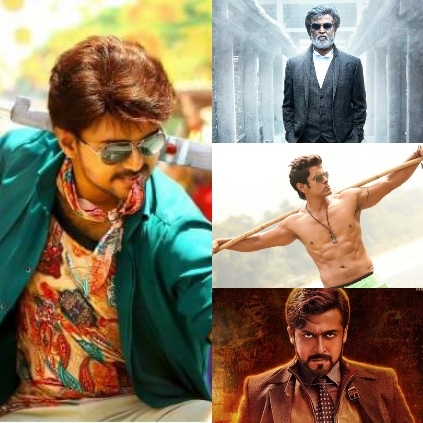 BAIRAVAA TO HAVE WHAT KABALI, LINGAA AND 24 HAD! Fame’s project is a famous international orchestral music recording company which records the strings orchestra for many composers. The recording company is known for orchestrating live strings recordings for a number of international artists and also a few Indian composers. They have recently worked on Bairavaa’s background score with Santhosh Narayanan. Fame’s Project is AR Rahman’s go-to company for recording strings orchestra as they have worked with him in films like Lingaa, Ai, and 24. Santhosh himself has worked with them previously in films like Rajinikanth’s Kabali and Karthi’s Kaashmora. "Recording the last project for this year, the #action movie @BairavaaFilm, composed by @Music_Santhosh! #liveorchestra #FamesProject", the company has posted on their Twitter handle and Santhosh Narayanan had retweeted it saying, "Had a great strings session with @famesproject after weeks of preparation. Big thanks to all musicians and technicians involved. #Bairavaa’’. We can look forward to an explosive background score in Bairavaa. Dhuruvangal Pathinaaru response, the 22 year old director's word. The new year gift from Superstar Rajinikanth to his fans! What has Ram tried to convey through his Taramani teaser?